It is our endeavor to showcase these natural treasures for the tourists with active participation of local communities so that the visitors can appreciate the grandeur and generosity of nature, understand importance of recycling and curbing consumption and imbibe the culture of nature and resource conservation. This form of responsible tourism is now known as eco-tourism.  Uttar Pradesh Government with its strong commitment to conservation is promoting eco-tourism to the wilderness areas of the state.